Buy hot sale coconut deshelling machine - Shandong Leader Machinery Co.,ltd. When the machine is working , the transmission reduce gear drive the main axle to move , which make the mill run by the power transmission chain wheel . Due to the cutter in the mill , putting the coconut the position between the mill and thrust bar with the manual turn continuously , which can remove the shell of the coconut under the function of the cutter and thrust bar running together . The machine is high working efficiency , fine design and easy to operate , which is the ideal machine for the coconut processing . And also the machine is made of stainless steel , which machine sure the high quality and long term usage and also meet the healthy standard . For the whole hot sale coconut deshelling machine,warranty is 12 months,within 12 months,if have equipment quality problems,we will provide accessories freely. After the expiration of the warranty period,if have spare parts problem,we only receive the cost of required replacement parts.We commit we will provide free technical support of equipment all whole life. Our company has engaged in producing and exporting hot sale coconut deshelling machine for many years, and until now, our machine has exported to overseas market, such as Brazil, India, Indonesia, Russia, Thailand and so on, and get the foreign customers' unanimous praise. We believe that you purchase Shandong Leader Machinery Co.,ltd. 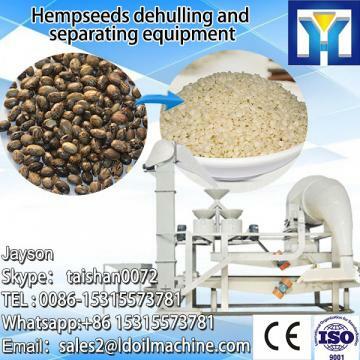 hot sale coconut deshelling machine is your best and sensible choice.